Llammigration is unfinished and we don't have any plans to finish it right now. sorry! Llammigration is a game about leading a herd of llamas on a journey through South America. Lead your herd through the journey to a new land safely by managing their resources effectively. 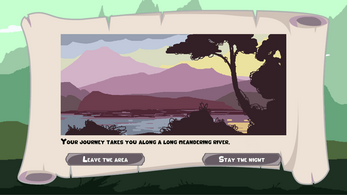 Llammigration is an unfinished educational game in the vein of Oregon Trail, developed by PureBread with S-Tengine2 and supported by SweetHeart Squad.